I've never seen the Dragonball movies, but those guys look pretty cool! I especially like Annin! She's really good. ssj2dakota You got to watch them! I don't remember anybody making Lucifer or any of the Lord Slug villains. Are you able to find pictures of those? Oldphan made those sculptures in the previous link. I didn't know that. Yeah, she was really good at making her scratch build sculptures. It's a shame that she didn't make more! I wonder if they were to scale. I bet Igor is. I should contact her when she's done licking Broly. I know the Chaozu was huge. It was bigger than a handful. I forgot Budokai made Lucifer. 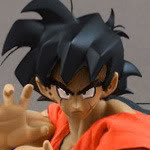 When the forums on dragonballtoys.com broke and stopped working, Budokai didn't follow us to dragonballtoys proboards, and he never showed more customs on his Flickr. I don't know if he just considered himself finished or if he lacked motivation once DBT stopped working. He did not typically post on DBT, he would only show pictures. So we never knew anything about him... where he lived... if he was a professional... etc. Lol you use my list. Well I'm glad two of us are getting use out of it. Cmak, there's an updated version of my list on my collection page here: Collection List ...I swear I add someone new and take someone off weekly since 1000 is my limit. So use this new list instead. I don't have Atlas Marron so I have to make one, and one more teen Goten here, all with different size of head that non-scale to each other. One more Cymbal and two King Piccolo, still waiting for PGV's Tambourine to complete Piccolo's family. Nice work! What body is that for Drum? And what about Cymbal? The Piccolo family looks great together! The Drum made from a Ku Fu Panda. The body of Cymbal came from a Bootleg Ben 10 figure which need to change all arms and legs. I saw a picture of a Turtles figure called Tattoo, will be a much better base for Cymbal. I like Cymbal the best, even though he's too short. I like that new End of DBZ picture you added. The other one with only 4 characters wasn't as interesting. 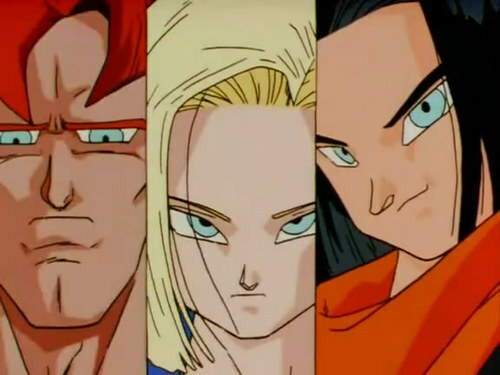 Will you be making end of DBZ Krillin and Yamcha? That's a Marvel Legends: Icons Venom, innit?